As country music moves even further into the digital age, unheard voices are finally reaching our ears, and in this case one such voice is that of Tyler Coe, an industry insider with a LOT of stories to tell. 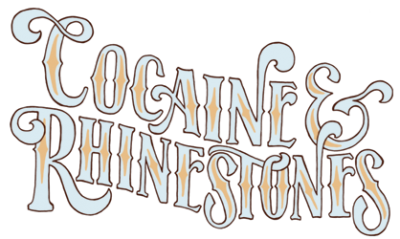 Tyler is the eyes, ears, and main speaker on the brand new podcast “Cocaine & Rhinestones” which dives right into the deep end of some of country music’s most controversial moments in history. The first season will cover: the musical partnership of Buck Owens and Don Rich, the three major players of “Harper Valley PTA” (Tom T. Hall, Shelby Singleton, Jeannie C. Riley), Wynonna Judd’s path from childhood through The Judds into her solo career, Doug and Rusty Kershaw (with a huge section on Neil Young’s LP ‘On the Beach,’ which Rusty steered), Spade Cooley torturing and murdering his wife (not pleasant to hear), The Louvin Brothers and an episode dedicated to everything Ralph Mooney did for the entire genre of country music. Give Cocaine & Rhinestones a listen and tell us what you think! Find the most current Tyler Coe tour dates from our partners at Country Music On Tour, your trusted country concert ticket source! Country Music News Blog participates in advertising programs that help fund the operation of this site. For more information please visit our privacy statement. This entry was posted in Featured, Press Releases, Tyler Coe by Shauna "WhiskeyChick" Castorena. Bookmark the permalink.